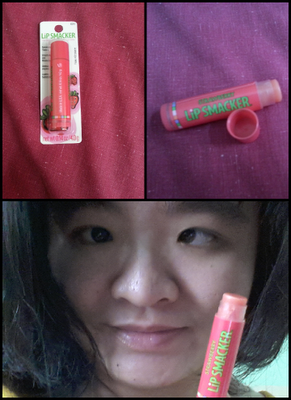 I received this product for review; I am loving this strawberry lip balm. If you like strawberry flavour like me you definitely love this lip balm. This lip balm is suitable to use day or night, if you are in air con room most of the time you know your lips can dry up easily. It is important to apply the lip balm to give your lip moisture. I often apply the lip balm because I have dry lips. The Lip Smacker Strawberry lip balm smoothes and moisturizes the lips from the drying effects of the weather. This product is recommended for ages 6 and above. You may find this product at Guardian or Watson.